Control home lighting and garage doors with one remote HomeLink®, or your smartphone (additional hardware required). Set home lighting to synchronize with garage door opener lights. 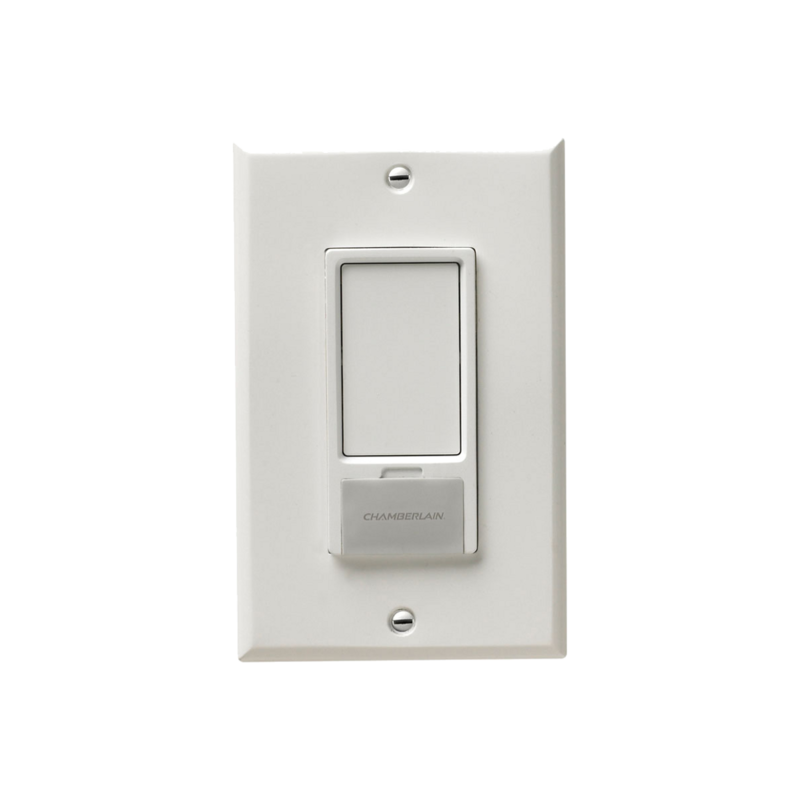 Preset times for your lights to turn on/off for increased security and efficiency. Turn lights on and off with the myQ App or your garage remote. Program to synchronize with your opener's lights. Requires a MyQ Garage, MyQ Internet Gateway, or Wi-Fi Garage Door Opener for smartphone control. HomeLink® compatible, works with the in-vehicle remote control system built into most cars. Compatibility Bridge™ (not included) necessary for certain vehicles. Visitbridge.chamberlain.com to find out if a Bridge is needed. Keychain Remote can be used for Chamberlain Garage Door Openers.